On several occasions, I invited you to visit the fabulous Variety Garden of Concha y Toro in Pirque. In this garden, 27 vines are grown. We already know that they have different aromatic profiles that give wines of different styles. But is it possible to recognize them by their leaves or berries? Yes. Each strain has characteristics of very specific leaves and berries. The discipline of botany applied in enology that allows us to distinguish varieties is called ampelography. This term comes from Greek ampelos (ἄμπελος), which means vine. The main objective of the ampelography is the morphological description of the grape varieties by their apices, herbaceous branches, adult leaves, bunches, etc. 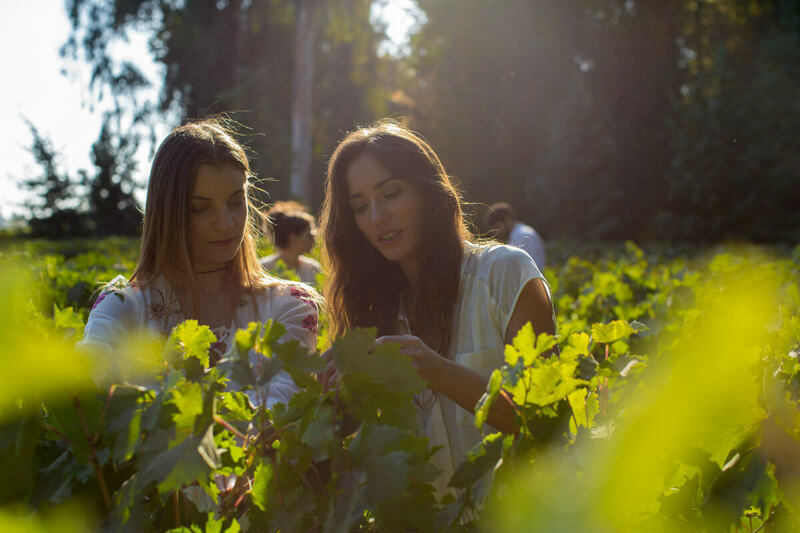 At present, there are around 5,000 varieties of grapes cultivated in the world that, with translations, can take us to no less than 40,000 names. Since the late 1990s, the deciphering of the vine genome led to the development of DNA tests that allow the study of true family trees. But, let’s be honest, few people carry a DNA test kit in the vineyards. And they’re are not cheap and have been practiced for very little time. So, how can we apply this science? To recognize a variety, work is facilitated by the season. Let’s go to Pirque. For example, in December you can see almost all the components of the vine, while in March we can see the clusters and the foliage coloring. The leaf is key to identify a variety and its most important aspects are: the section of the rod and the color (green more often, more or less dark, scratches, knots, internode, etc.). 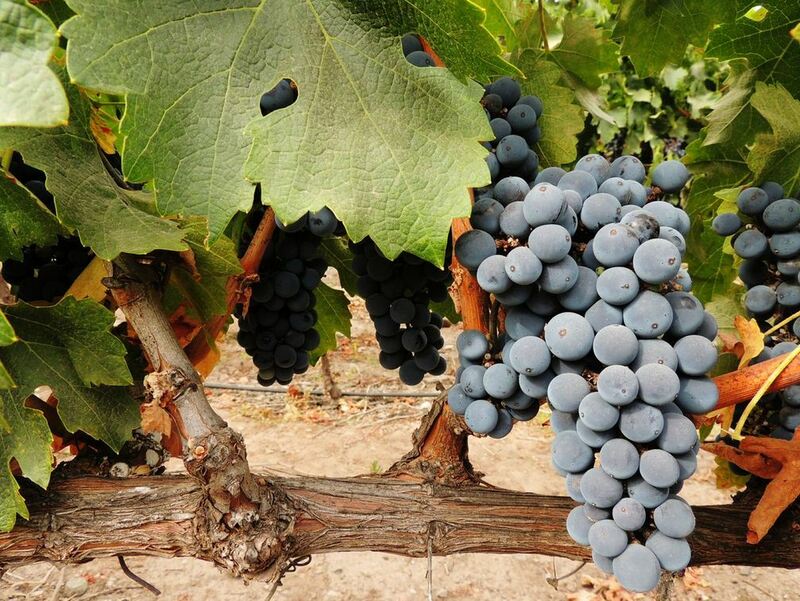 The varieties of red grapes can have a greater accumulation of a compound called anthocyanin at the ends, the leaf having reddish tones, as in the case of Carmenere. For the white grape varieties, a yellowing of the leaves can be observed. Also, it is examined: the length (distance between internodes), the shape of the leaf that varies from spherical to cylindrical, fox tail shape (long and oblong), shoulders (a branch separates, forming a small projection of a few grains) and number of lobes (portions of extremities clearly separated by lateral sinuses). The size of the leaves can be small, medium, large or very large. Even the shape and size of the nerves are important. Cabernet Franc: leaves of medium size, round, with 5 lobes, of green color; its edge has straight teeth and medium-sized sides. The breast appears in a “V” shape with slightly overlapping lobes. Berries of medium size, blue-black color. Cabernet Sauvignon: leaves of medium size, with a round shape of five or seven lobes, with a “U” shaped bosom, borders with large teeth. Small or medium berries, round, bluish black. Carmenere: bright, round leaves with five lobes and asymmetrically with one of the lower lobes generally higher than the other. The breast is “U” shaped, closed and with superimposed lobes. Edge with medium teeth. Berries are spherical, varying in size bluish black. País: irregular, dark green color leaves; the teeth are preserves. Spherical berries, medium size, coloration varies from reddish black to reddish pink and with pigmentation spots. 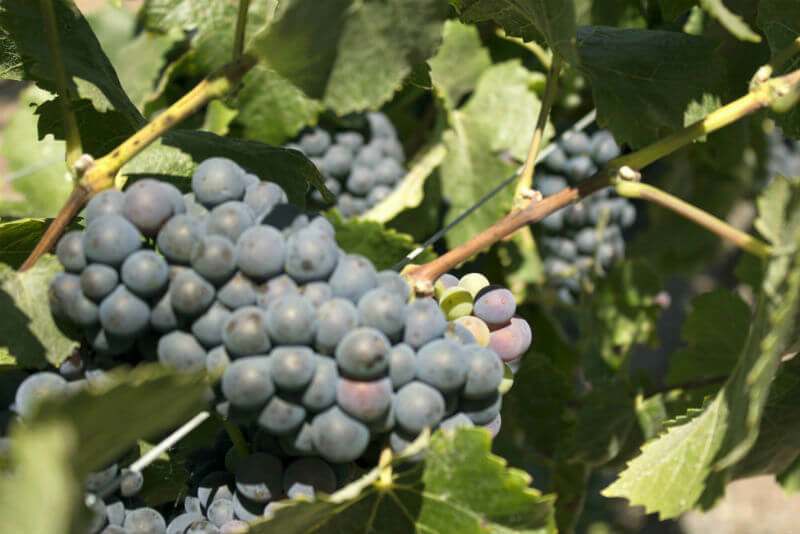 Pinot Noir: medium-sized leaves, dark green, three or five lobes. Spherical berries of bluish black or dark violet color of small size. Chardonnay: leaves of rounded shape, medium size. Whole or with from 3 to 5 lobes; the leaf edge has short teeth. Berries of yellow-green color, medium size. If any of you would like to become a professional ampelographer for a day, you should first prepare a backpack with a good camera, UV filter, a jockey to protect your head from the sun and reach Pirque to walk among the vines. A true wine lover should be able to recognize the vine only by its look, at least his favorite variety. The beautiful Pinot Noir leaf, for example, I have engraved in my heart.